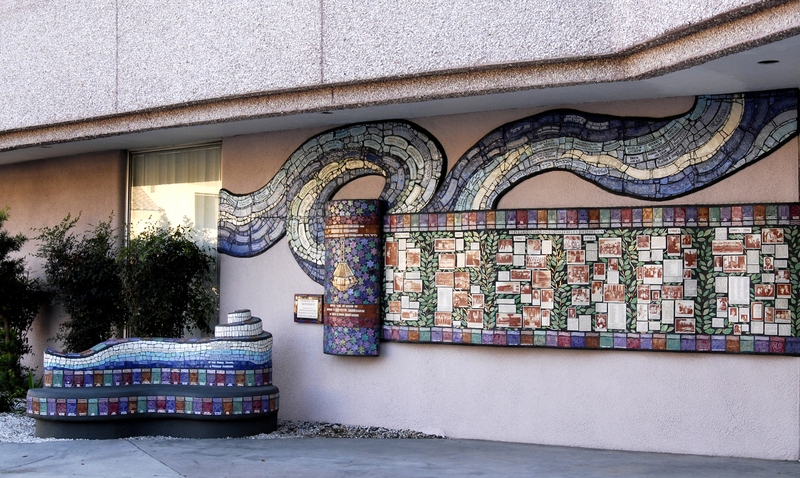 Scroll of Memories celebrates the 75th Anniversary of Beth El Congregation at 1118 W. Glendale Ave., Phoenix, AZ. The bench and scroll are built of Fiberglass Reinforced Concrete (FGRC) over carved Styrofoam forms. All of the tile surfaces are made of handmade, glazed ceramic tiles. 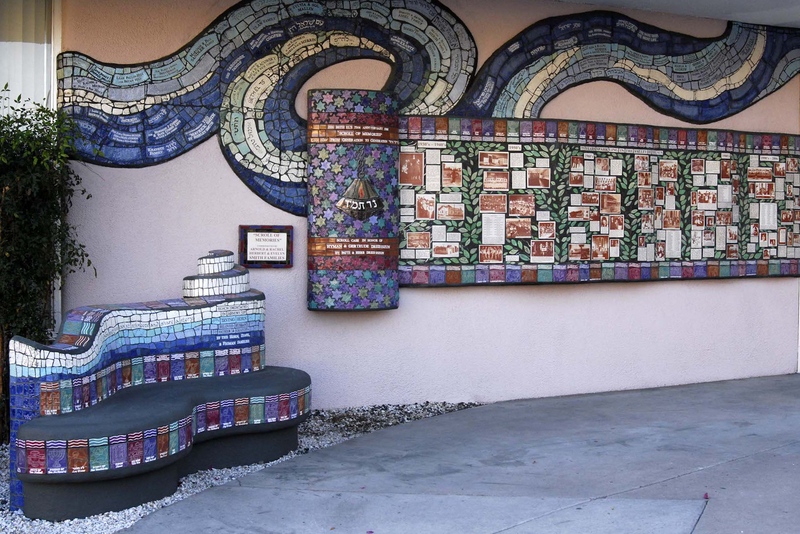 The congregants of Beth El participated in many aspects of the project from design and concept, to shaping the Styrofoam forms, cementing the forms, making and glazing tile. They developed a text and photo history which Nina translated into photo tiles through a process using an HP laser printer and Lasertran decal paper. 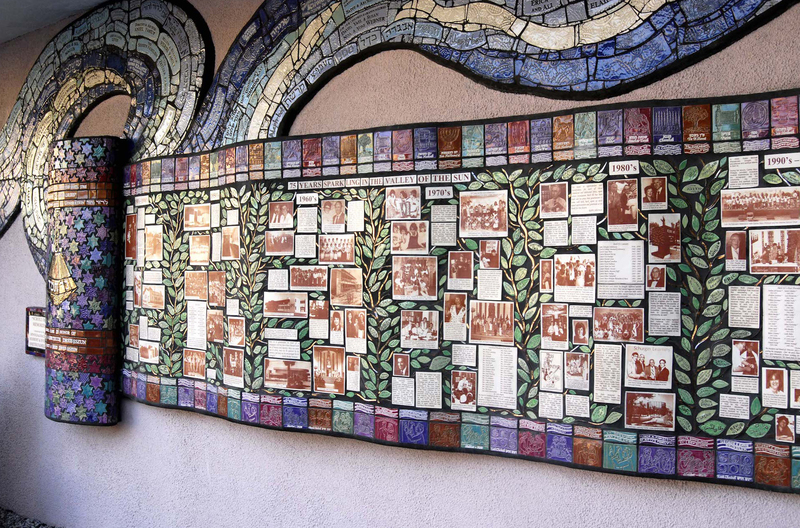 Location: Beth El Congregation, 1118 W. Glendale Ave., Phoenix, AZ.